Welcome to The Giles Group! Welcome to the digital domain of John Giles. Here you can explore the digital issues of quick printing as well as check out the latest books and products to make selling digital services easier. Check out What's New for the latest in news and tips. And don't forget to check out more print industry news at www.crouser.com and www.quickprinting.com. John Giles has joined CPrint® International as a consultant and as the Technology Director. John continues to write for Quick Printing magazine and other publications. He will continue to offer his books and pricelists to the industry. His new contact number is 954-224-1492. Why do some printers make money with digital technology and others don't? John's new book 12 Secrets of Digital Success will tell you what successful printers are doing to increase their profits and improve productivity. To order, click on the Books tab. DTP PriceList has been updated. Printing companies can now profitably price typesetting and design based on value with this easy-to-use InDesign-based DTP counter pricebook that you can customize. Order the book today and take the mystery out of DTP pricing. Do you tweet? You can follow John Giles as he surfs the Internet and passes on information that can help printers make money. Sign up at http://twitter.com/JohnG247. You can find him and become a follower by going to www.twitter.com. You will also want to check out Tom Crouser on Twitter as well as Quick Printing magazine. Sign up for the free CPrint Tips email newsletter at www.cprint.org. The newsletter is full of information to help printers make it through this tough economic time and even prosper. Tom Crouser's latest Pricing Guide now includes a printed copy of John Giles' DTP PRICELIST ON DISK. Crouser Pricing Guide users can buy the PRICELIST ON DISK at a steep discount. Visit Crouser's web site at at http://www.crouser.com/. CPrint® International is a exciting new international program that certifies printing companies who demonstrate business practices that allow them to provide exceptional quality and service to the business print buyer in their community. The CPrint® certification is ongoing to assure the buying public the best possible print buying experience. CPrint® has a number of special products and services that let participants provide customer-friendly technology to make print buying easier. Giles will be working with CPrint® to help give the affiliates a competitive edge in their market. CPrint® is currently taking applications for selected markets. For more information visit the Crouser web site at http://www.cprint.org/. 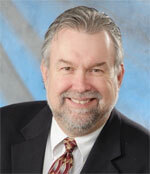 John Giles III has joined the staff of CPrint® International as technical director and consultant. CPrint® is a printing franchise aimed at helping printers prosper. Affiliation is open to existing printing company. Giles is also the owner of The Giles Group, a publishing and consulting company specializing in digital technology issues for quick printing and small commercial printing companies. The company provides specialized consulting on marketing digital services, productivity, pricing, software and equipment purchases, personnel and work flows for quick and small commercial printing companies with $3 million or less in sales. Giles' training concentrates on increasing profitability in the DTP and prepress department. He works with workflow procedures and organization within the department. He focuses on the profitable use and marketing of technology such as PDF workflows and automation, websites, web-to-print purchasing and personal URLs. He performs digital audits to help make sure printer has the right standards and procedures, equipment, personnel and understand of digital opportunities to be competitive. Giles also provides training to a printer's customer on the industry standards for digital files to help assure printers are getting ready-to-print files. Giles is a contributing editor for Quick Printing magazine and has published articles in other industry trade news outlets such as OnDemandjournal.com, Whattheyknow.com and for Microsoft.com. He is an popular speaker on digital topics for quick and small commercial printers. Giles made presentations on digital topics throughout the US, Canada, England and Australia. He has presented programs for such groups as PIA, NAQP, PODi, and PRSA as well as the printing franchises and a number of print manufacturers. He is also the author of Digital Directions: A workflow guide for small printing companies; the DTP Pricelist; and The Digital Original. He is a recipient of the National Association of Quick Printer's Industry Award of Distinction. The award is presented to a non-quick printer who has supported and consistently contributed to quick printing as a whole. The honoree can be an educator, supplier, member of the trade press or author. He is a graduate of Marshall University, Huntington, W.Va., with a degree in Journalism.